ACM SIGGRAPH 2015. Transactions on Graphics 34(4). Eye alignment to the optical system is very critical in many modern devices, such as for biometrics, gaze tracking, head mounted displays, and health. 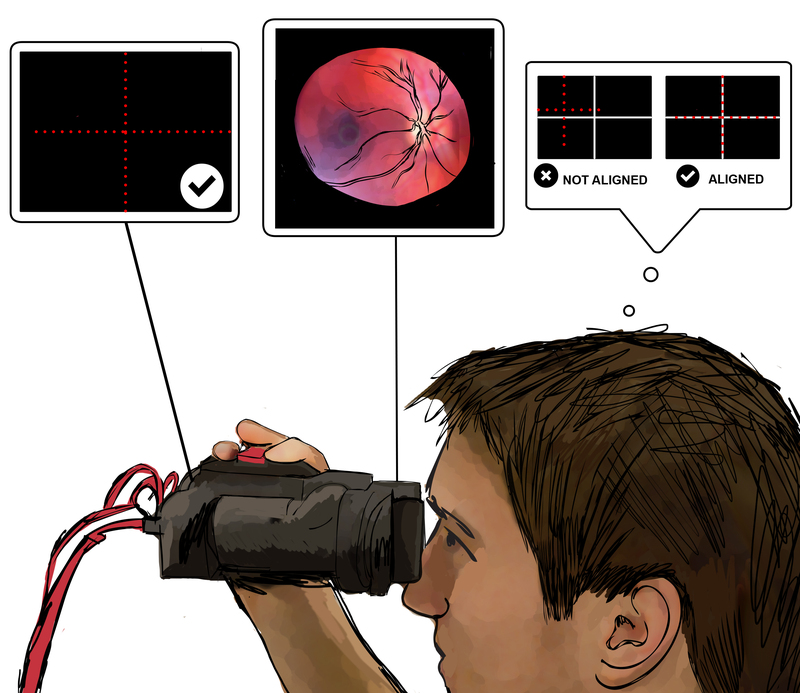 We show alignment in the context of the most difficult challenge: retinal imaging. Alignment in retinal imaging, even conducted by a physician, is very challenging due to precise alignment requirements and lack of direct user eye gaze control. 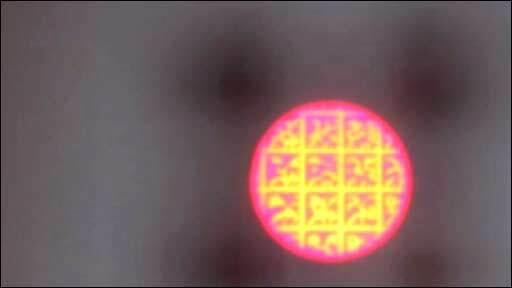 Self-imaging of the retina is nearly impossible. We demonstrate that a combination of simple optics and an interactive user interface can be employed for self-imaging of the retina. To the best of our knowledge, this is the first time interactive self-imaging of the retina has been demonstrated. Our setup avoids many of the pitfalls found in typical fundus camera arrangements by providing a fixation cue that indicates to the user when they are correctly aligned. Our fixation displays use much less light than infrared illumination alignment and other focusing methodologies used in standard retinal photography. T. Swedish, K. Roesch, I.K. Lee, K. Rastogi, S. Bernstein, R. Raskar. 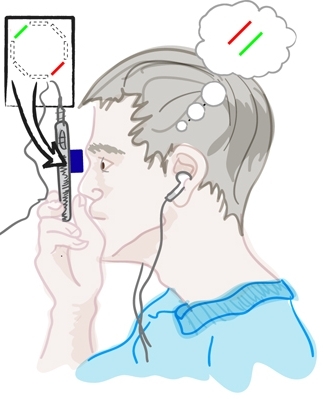 eyeSelfie: Self Directed Eye Alignment using Reciprocal Eye Box Imaging. Proc. of SIGGRAPH 2015 (ACM Transactions on Graphics 34, 4), 2015. We frame retinal imaging as a user-interface (UI) challenge. 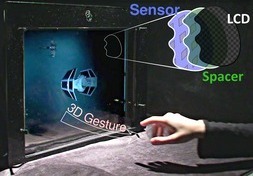 We can create a better UI by controlling the eye box of a projected cue. Our key concept is to exploit the reciprocity, ``If you see me, I see you'', to develop near eye alignment displays. Two technical aspects are critical: a) tightness of the eye box and (b) the eye box discovery comfort. Previous pupil forming display architectures are not adequate to address alignment in depth. We then analyze two ray-based designs to determine efficacious fixation patterns. These ray based displays and a sequence of user steps allow lateral (x, y) and depth (z) wise alignment to deal with image centering and focus. We show a highly portable prototype and demonstrate the effectiveness through a user study. One of the most challenging alignment tasks is retinal imaging. Traditionally, acquiring retinal images involves complicated, difficult to use and expensive equipment. The devices are designed to be used by a trained operator, need securing of head position, and non-trivial mechanical controls to ensure precise alignment. Furthermore, most retinal imaging techniques require the use of dilation drops to obtain a sufficiently large field of view (FOV). It is the combination of previous factors that make self-imaging of the retina nearly impossible. We would like to thank our volunteers for their participation in the study, R. Daniel Ferguson at Physical Sciences Inc. for advice and insightful discussions on optics development, the members of the Camera Culture Group at the MIT Media Lab for their support, our clinical collaborators (PS, TM, JP) for rating images and assessing the viability of our design; and the reviewers for their valuable feedback. Illustrations are drawn by Laura Piraino. This work is supported by the Vodafone Americas Foundation, the MIT Deshpande Center for Technological Innovation, and funding from the US Army Research Laboratory's Army Research Office.